Behold the ominous beauty of the genus Faucaria. These succulent herbs in the family Aizoaceae are native to South Africa and are known commonly as tiger's jaws. The first time I encountered one of these plants, I was a little hesitant to get too close. Despite their appearance, however, they are rather tame. What looks like a sturdy defense actually has more to do with water. Faucaria are denizens of the dry. Their stubby, succulent leaves act as water storage devices that allow the plant to go some time without water. As new leaves are produced, they emerge in pairs with their serrated edges interlocking like teeth. 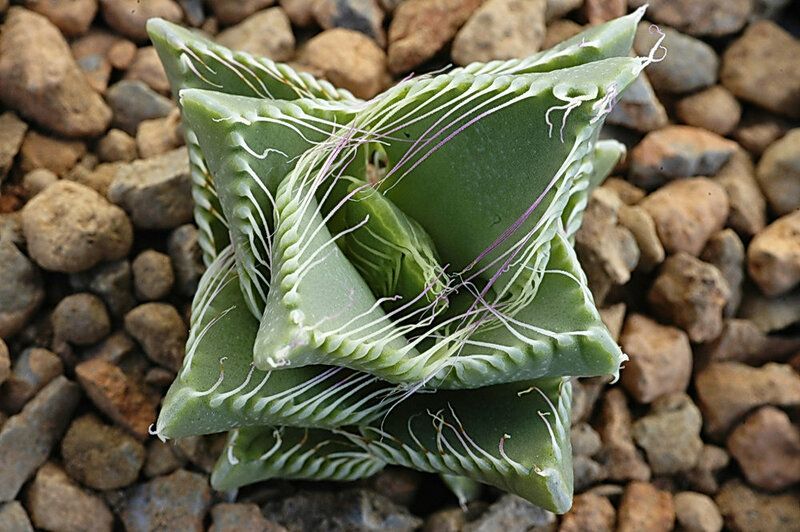 Once mature, the edges separate and the pair of leaves open up like a carnivorous maw. The "teeth" of these "jaws" are a unique adaptation for acquiring extra water. Because it rains infrequently, the plant does its best to take advantage of moisture in the air. 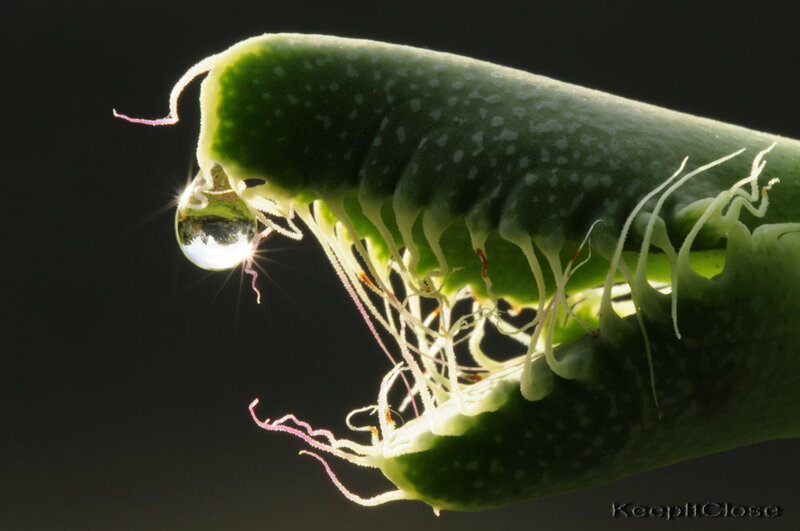 The teeth act as condensation points, mopping up dew and fog and directing it towards the roots. In this way, Fucaria are able to maintain themselves even in the absence of rain. And maintain themselves they do! Like many other members of the family, Faucaria produce unexpectedly large flowers for their size. The blooms erupt from the middle of each pair of leaves, almost as if they were being regurgitated. Seeing a mature population in full bloom is an experience you won't soon forget.